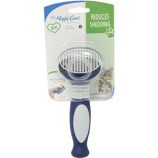 • Recommended By Professional Groomers For Safety and Dependability. 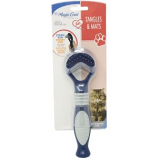 • Made From Surgical, Stainless Steel For Quick, Easy Nail Clipping. 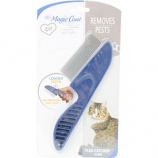 Ideal for all cat and kitten coat types. Longer teeth also penetrates thick coats. . . . 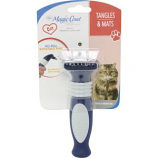 Ideal for medium to long hair cats. Double row sturdy pins eliminates stubborn mats. . . . Ideal for all cat and kitten coat types. Self cleaning button for easy cleanup. . . . Ideal for medium to long hair. No pull rotating pins for gentle grooming. . . .
• The Four Paws Sisal/Carpet Scratching Post Measures An Impressive 21 Height When Assembled. • Anchored By A Wide 11x11 Base, The Scratcher Assembles In Less Two Minutes. 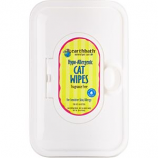 • The Post Is Laden With A Cat S Two Favorite Scratching Surfaces-Sisal and Carpet. 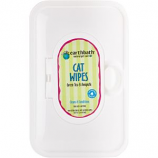 Safely and easily wipe away dander dirt and residual saliva. Mild cleansers deodorize freshen and clean. . . .